Perfect for the big game, your next barbecue, or a prepare-in-advance snack! 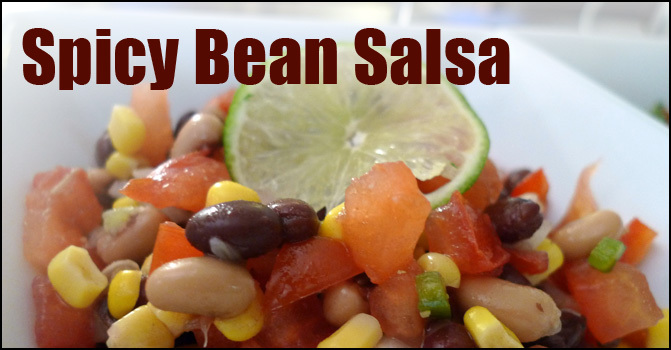 This spicy bean salsa is not only delicious, it is also versatile. Eat it with chips and crackers, or put it into wraps (with or without meat) along with some fresh spinach. This salsa has a nice kick to it from the jalapenos. You can add more jalapenos to really spice it up, or do less if you'd prefer to tone it down. The recipe suggests letting it set overnight to blend the flavors, and it really does pay to let it marinate. In a medium bowl, combine black beans, black-eyed peas, corn, onion, green bell pepper, jalapeno peppers and tomatoes. Season with Italian-style salad dressing and garlic salt; mix well. Cover, and refrigerate overnight to blend flavors.